This Classic Casio MCW-200H-1AVEF Men's Black Chronograph Watch comes with a black rubber strap and black case. 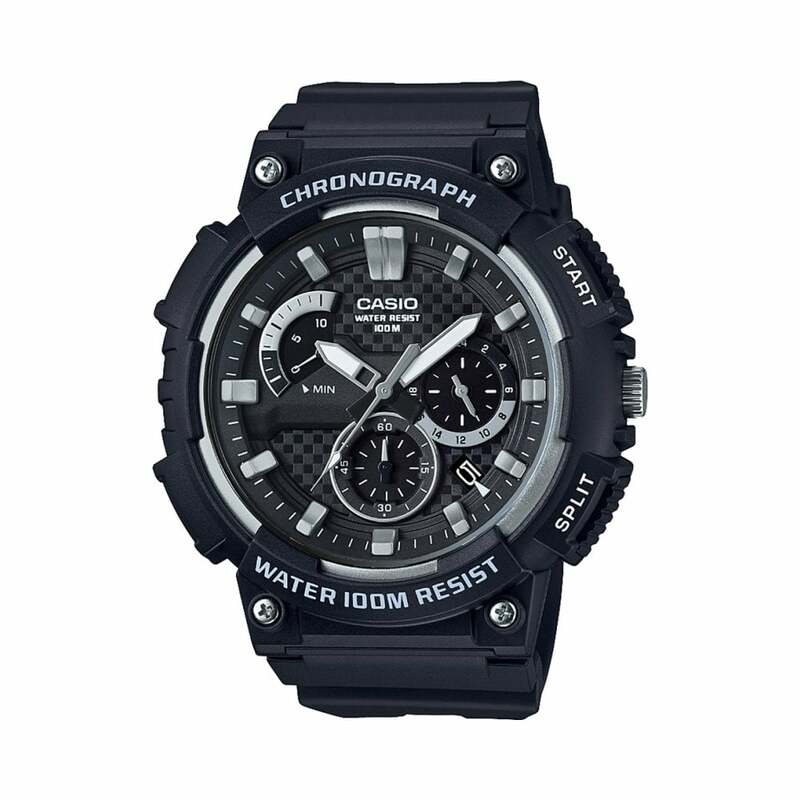 This watch is water resistant up to 100 meters also This watch comes with silver indexes and has many features including a chronograph display. This watch in an official Casio presentation box with a 2 year Casio warranty.